When you think of Snow White what colours do you see? Most say red and yellow when actually Snow wears a blue top and yellow skirt. The colour red is only on the bow/headband and the belt around her waist. Here are a few ideas for the perfect Snow White Disneybound. 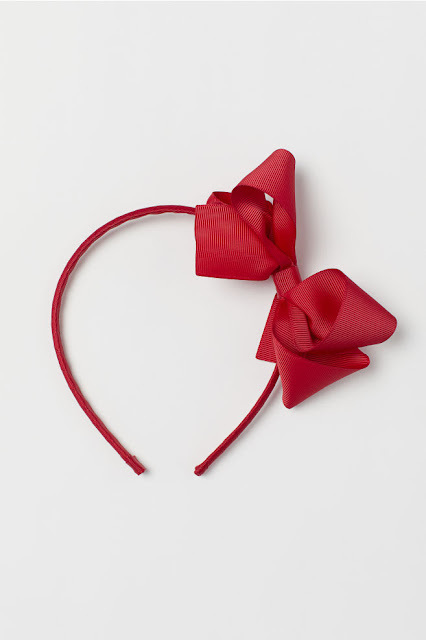 The red headband with bow is the perfect start to a Snow White Disneybound. I think above everything else she wears this is what everyone remembers. Finding the perfect colour blue was hard but I love this from Simply Be. 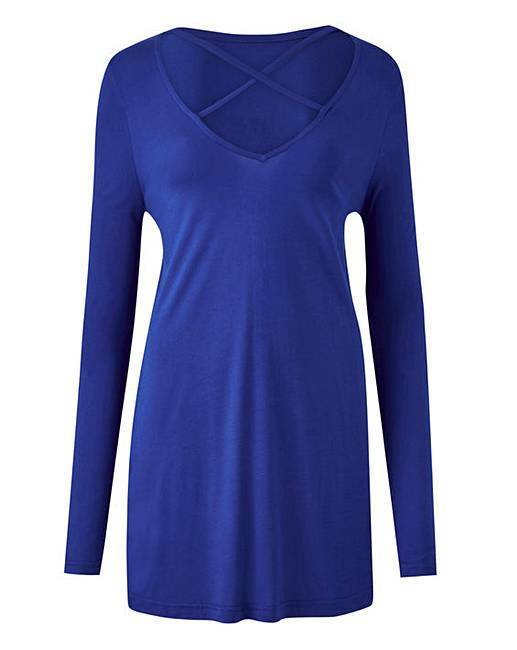 The Colbalt Blue Top has strap detail at the front, is the perfect colour and I love the length. It will allow you to tuck in to the skirt and add a nice red belt too. 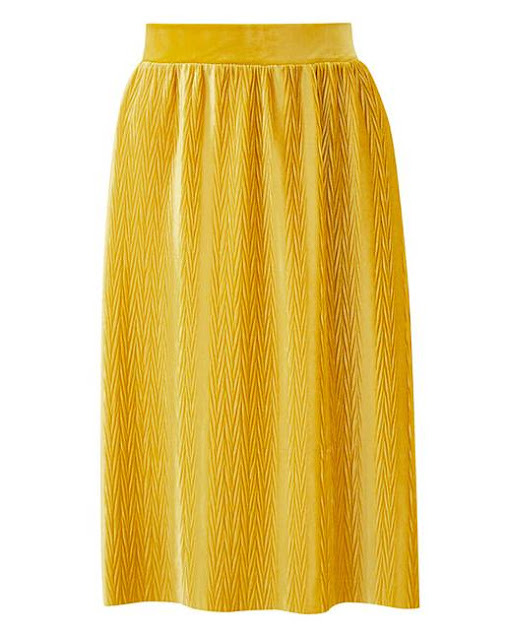 The Junarose Pleated Velvet Skirt is the perfect choice for a Snow White Disneybound. I absolutely love the detail on this skirt. It's elasticated waist too so will sit nicely on your hips. It's mid length so would be ideal for all visits to Disney whatever the season. 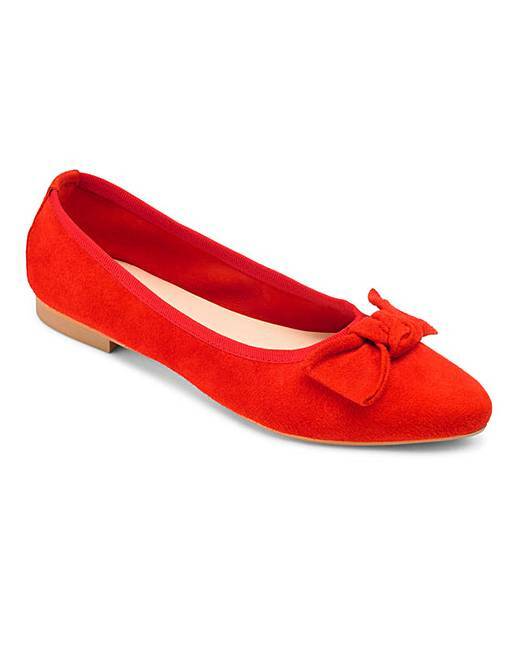 Finishing off with a pair of red flats. When visiting Disney its important to wear comfortable shoes and in my opinion flats are a must. I love how these also have a red bow on the front too. To finish I would probably add a red belt. If you are heading to Disney in the Winter Season you could always add white gloves too. Have you ever visited Disney and created a Disneybound outfit? I am really looking forward to sharing some more of my Disneybound ideas with you soon. This post is in collaboration with Simply Be and it also contains affiliate links. I have never heard of Disneybounding before, such a fab idea for adults to have fun with! I see so many people doing this at DisneyWorld! Some far better than others to be honest, it always seems to give the characers a chuckle when you meet them and look like them though! I had no idea adults weren't allowed to wear Disney costumes in the parks. Love these choices, they would be absolutely perfect for a visit. What a great idea!! I love it! Everything is so cute, the bow, tops and skirt are just perfect! Oh gosh I love those clothes for every day wear too! The idea of Disneybounding sounds so much fun. I had never heard of the term Disneybound before, and I also didn't know you were not allowed to dress up. I guess it makes sense, so you don't get mistaken for staff characters. What a clever idea to get around that though. I have never been to Disneyland or heard about Disneybounding. What a fab idea. These are the perfect snow white colours. i love this post!!! Disneybounding is something I have always wanted to do but have never plucked up the courage to do it as I've felt I'm going to look stupid! Your outfit looks amazing though! Ah I am so excited for you -- sounds like you have an amazing trip planned. Oh wow I have never heard of Disneybounding before but sounds like so much fun and this non-costume is pretty spot on! Disney bounding sounds so much fun. What a lovely idea. Great outfit! You'll look super cute. Your outfit and accessories look amazing! Can't believe that there is even such a rule for adults but what a way to get around it!